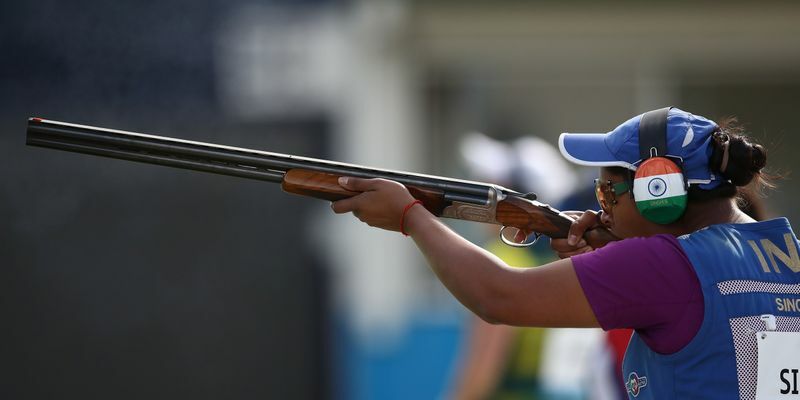 Shreyasi Singh finished first in Women’s Double Trap event to hand India its twelfth gold as she finished with a score of 96 before beating local favourite Emma Cox in the shoot-off. India’s other athlete in the event, Varsha Varman, however, missed the third spot by a whisker in the last round. India continued their dominance in shooting on Wednesday where they won back-to-back medals in 50m Pistol and Women’s Double Trap events. After Om Mitharval won the bronze in the first medal event, 26-year-old went two steps further and won the elusive yellow metal. The girl form Delhi had to settle for a silver medal at the Glasgow Commonwealth Games in 2014 but ensured that she didn’t make the same mistakes again. Starting on a high right from the first round, where she was joint top with Scotland’s Lindd Pearson, she never let her score come below 22. Australia’s Cox and the Scot were the top challengers for Shreyasi right from the beginning and they even went ahead of her in their second and third round, which pushed her to the very edge. Shreyasi was sitting second on the table with a score of 71 before the last round with Cox on 78 and Pearson on 70. However, with everything at stake, the Indian scored 25 in the last round, where Cox managed only 18 and Pearson got eliminated by 20. Varsha Varman was in the top three contentions with 86 after four rounds, where Shreyasi and Cox were tied on 96. In the anticipated shoot-off, however, Cox fumbled big time as she missed one shot while Shreyasi took both of her chances.